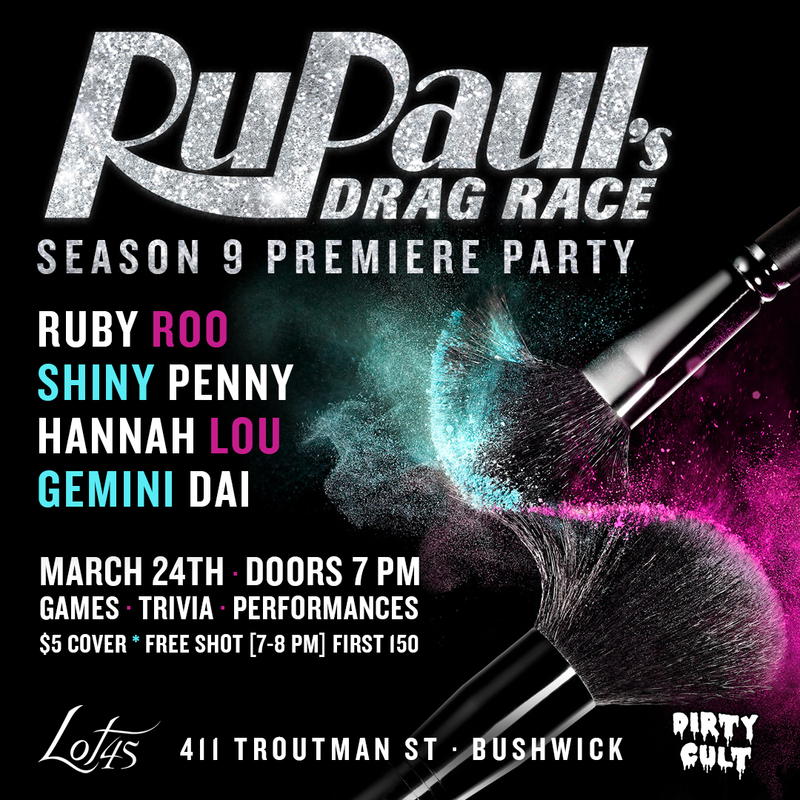 Dirty Cult celebrated the premiere of RuPaul’s Drag Race Season 9 on March 24th with an exuberant viewing party at Lot 45 Bushwick. Featuring performances by Ruby Roo, Shiny Penny, Hannah Lou, and Emma Tation (fka Gemini Dai), and a pop-up shop by Brooklyn design duo High Wasted Studio. Hosted by Dirty Cult’s @memourl. View the full gallery below and join us at Lot 45 every Friday! ← Ep. 1 – Sorry, But We’re Not Sorry!